A home tool set is an essential item for any homeowner and can make completing small home repairs and renovations quick and easy. Consider how comfortable you are completing various projects and what sort of tools you’ll require to get those jobs done. Some sets contain just the essential items, while others are more comprehensive in what they include. Some are specific for a single tool but provide various sizes. It’s a good idea to start with a set that includes a hammer, tape measurer, various screwdrivers and hex keys as well as a drill and drill bits if possible. This should cover most at-home jobs you’re likely to encounter. Always use tools for their intended purpose and according to the manufacturer’s instructions. If you have any questions or concerns, do not hesitate to contact them. With the above in mind, in no particular order, here are 50 of the home tool sets that we consider to be the best, based on available features and average customer reviews. 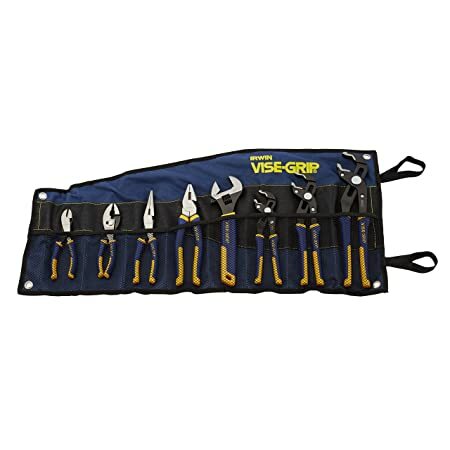 This tool set offers nearly everything a homeowner could need for the DIY tasks around their home and features ergonomically-designed grips and handles for comfortable use. 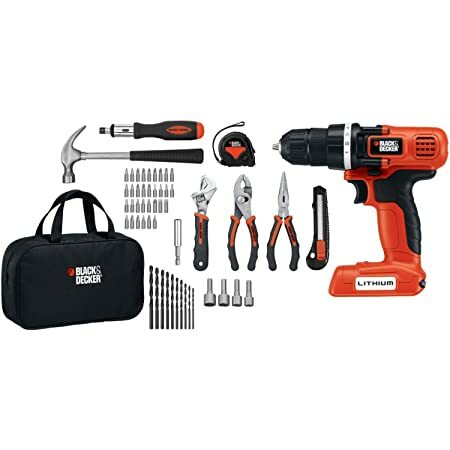 This tool set comes complete with a battery-powered drill and 66 different hand tools and accessories to provide the DIY homeowner with everything they need to tackle most household projects. 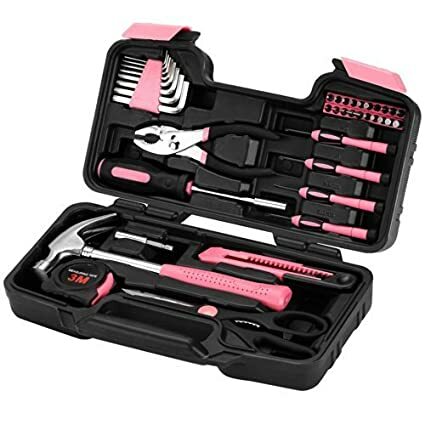 Feel good about your tool kit purchase with this fun pink set, of which 50 cents from every sale is donated to The Breast Cancer Research Foundation. It contains tools necessary to complete most projects around the home and comes with a 1 year warranty. This mini tool set features 25 of the tools most needed to complete simple repairs and renovations around the house. The tools feature comfort grip handles to make hard work feel easier. 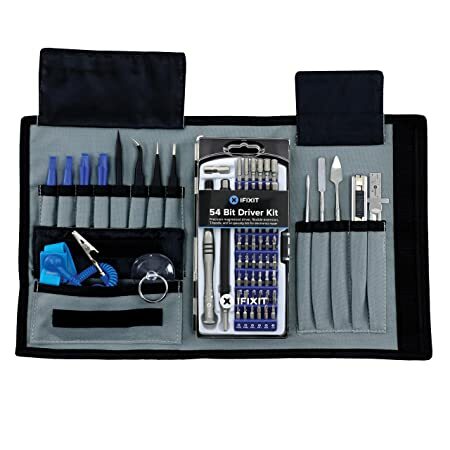 This tool set is ideal for the smaller and finer repairs around your home and has everything you need to repair your iPad, iPhone, iPod, Samsung Galaxy, watch and other electronic devices. 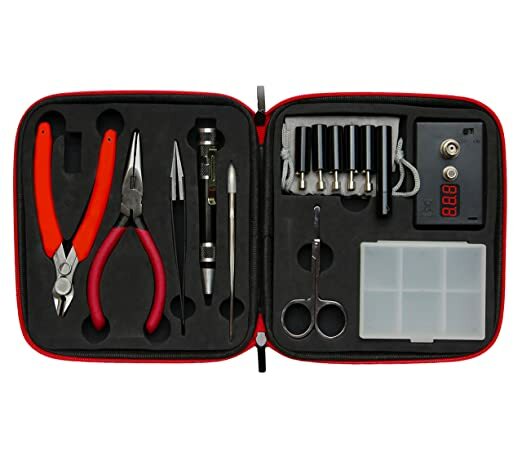 This handy little set features 27 pieces that allow you to complete fine repairs around the home and to your electronic devices including mobile phones, tablets, laptops, gaming systems, wristwatches, and eyeglasses. 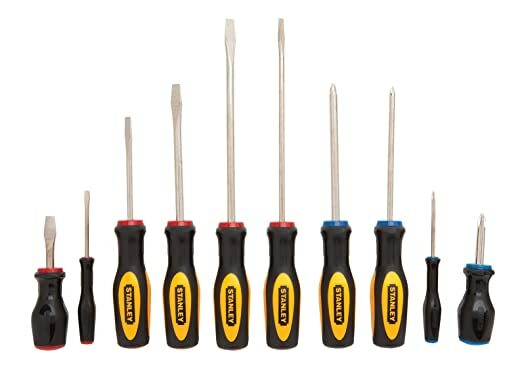 This 10-piece screwdriver set is perfect for new homeowners and comes complete with a variety of phillips, slotted, stubby and pocket screwdrivers to handle any of your fastening needs. This rotary tool accessory kit is perfect for both the hobbyist and home handyman alike. 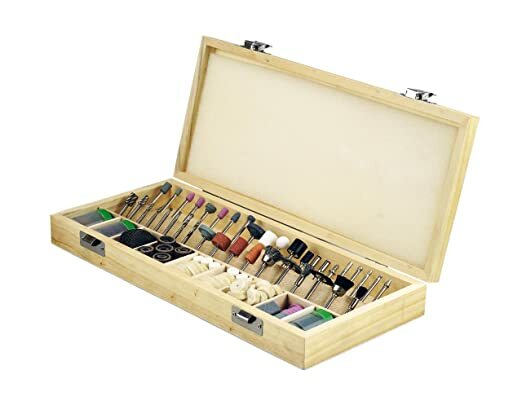 It comes complete with 228 assorted accessories all housed in a beautiful wooden storage box. This 5 piece heavy duty diamond dust hole saw kit is perfect for the DIY homeowner looking to complete a number of tasks around the home. 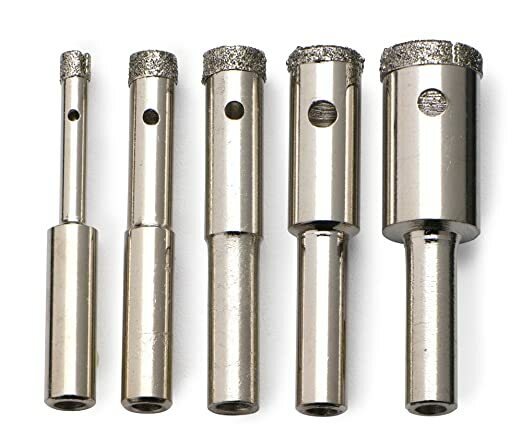 The diamond-tipped bits provide superior cutting performance and long-lasting quality. 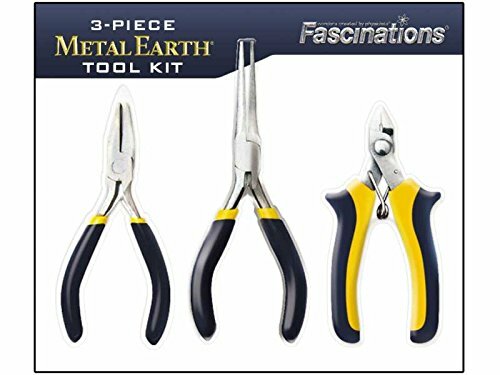 This 3-piece tool kit contains various pliers and clippers that have been drop forged and heat treated with a rubber handle for comfortable, long-lasting use. 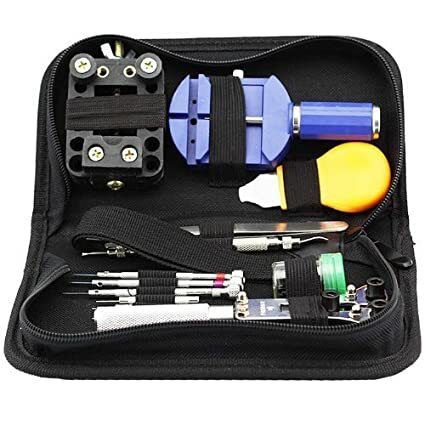 This tech tool set is frequently used by the FBI and CIA, as well as many major electronic manufacturers to safely and reliably repair electronics. It is regularly updated to include the most updated tools for modern electronics. 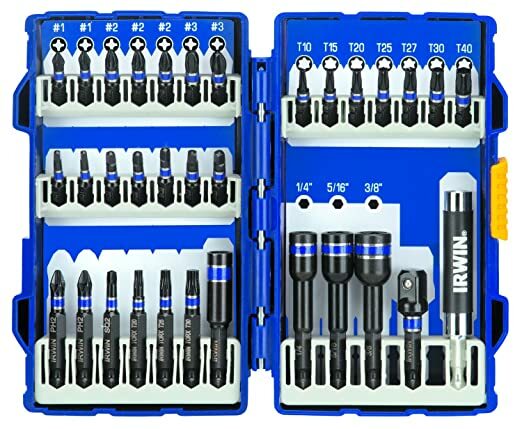 This comprehensive socket set contains 69 pieces to help you accomplish all your home and auto repair tasks and features the brand’s Max-Drive design to provide you with 15% more torque. 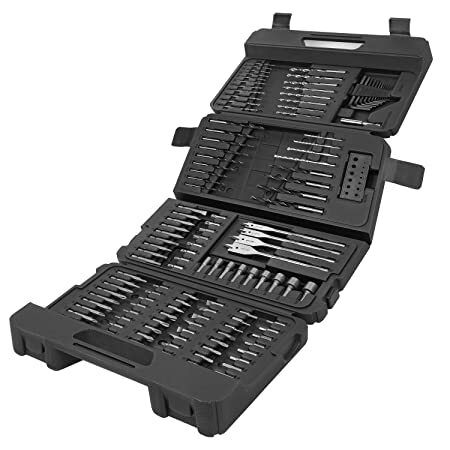 This household tool set features 53 assorted tools that have been heat treated and chrome plated to help resist corrosion. It contains all necessary tools to complete most DIY home repairs. 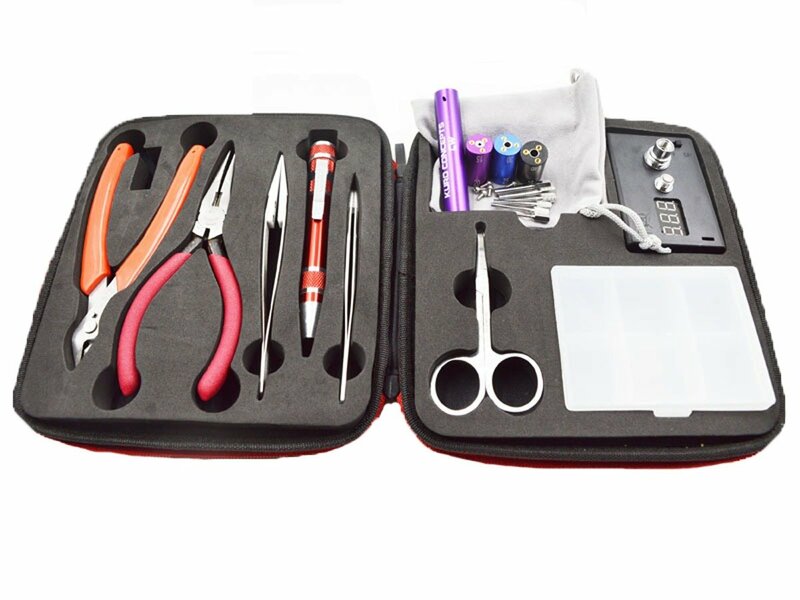 This watch repair tool kit is suitable for fixing a number of watches and includes everything you need to complete tasks such as at-home battery replacements. 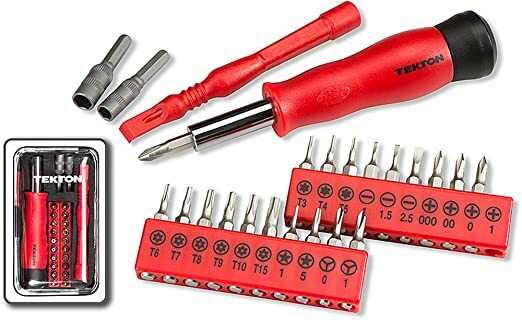 This precision screwdriver kit features 6 different tools with swivel-head handles to help provide precision repairs to small items and home electronics. The hardened steel blades have been tempered and are corrosion-resistant for years of use. 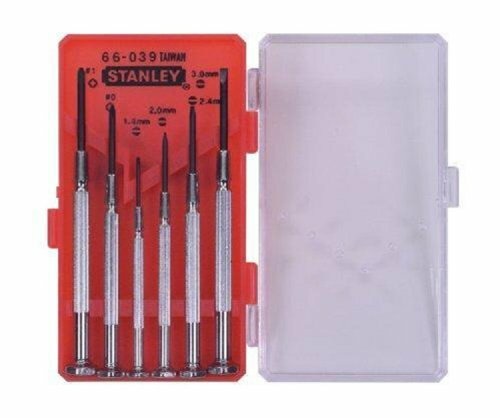 This needle file set contains 10 pieces to help you complete a number of small, at-home DIY projects and minor repairs quickly and easily. Thanks to the non-slip rubber grips you’ll have more comfortable usage and increased control and accuracy. 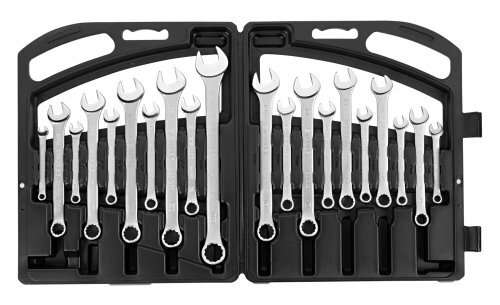 This comprehensive mechanics tool set contains 170 pieces that help you complete any number of at-home DIY and vehicle maintenance tasks and contains most standard and metric sizes. Thanks to their chrome vanadium steel alloy construction, they’ve been designed to resist abrasion and corrosion. 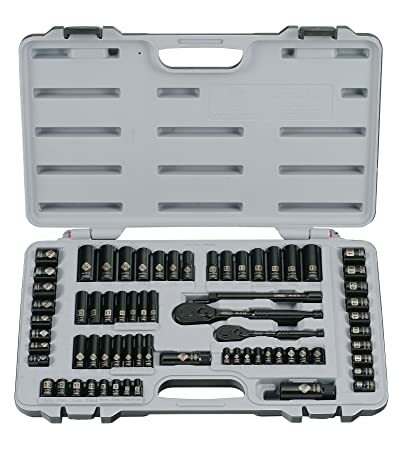 Available in a number of different size configurations to suit any home mechanic’s needs, this socket set features 40 pieces to help complete most at-home tasks. It boasts the brand’s Max-Drive design that provides you with 15% more torque. 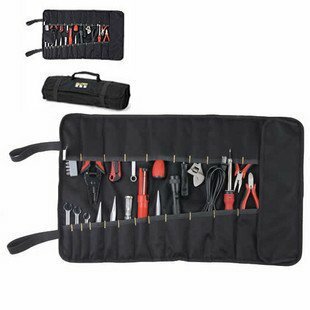 A must-have for any home mechanic and in any vehicle, this tire repair kit provides professional-level tools to help repair punctured tires quickly and easily. It comes with 1 T-handle insert tool, 1 T-handle spiral probe tool, 2 hex keys, 1 sealing lubricant and 30 string plugs. 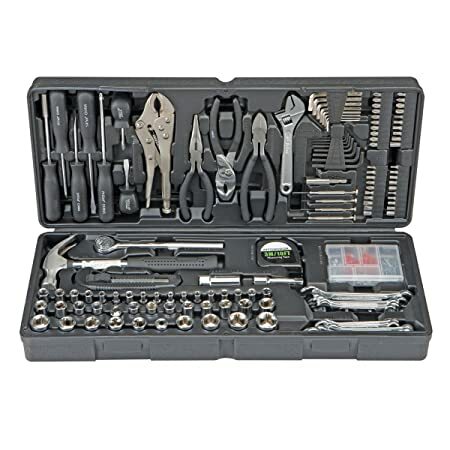 This mixed tool set provides a comprehensive collection of 210 pieces to help homeowners complete most DIY jobs around the home. It features the brand’s Max-Drive system to help reduce torque and contains standard and metric sizes. This handy little bike tool offers a convenient all-in-one solution to at-home and on-the-go bicycle repairs. It’s lightweight and easily portable to provide reliable repairs no matter where you are. 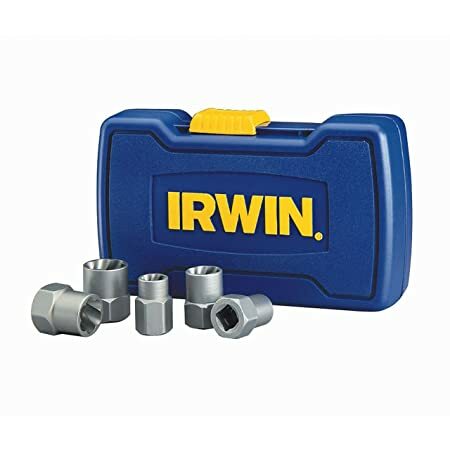 Available in a number of different size configurations to suit any home handyman’s needs, this set features 5 pieces to help complete most at-home bolt extractions. It’s great for those rusty or hard-to-reach bolts that you need removed. 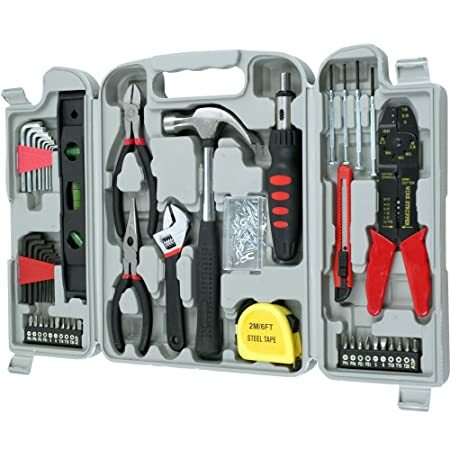 This home tool set contains 71 of the most popular and reached for hand tools to help the DIYer complete a wide variety of repairs and jobs around the home. 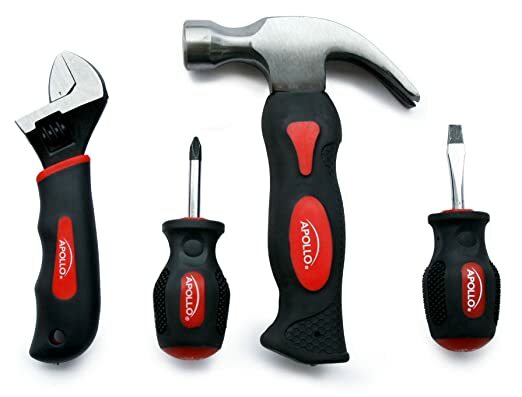 Chrome-plated and heat-treated, these tools have been designed to provide years of long-lasting, reliable use. This two-piece set of vise grips is great for handling all of your tightening, clamping, twisting and turning needs. Thanks to its classic trigger release, it provides maximum locking force that can quickly and easily be adjusted. 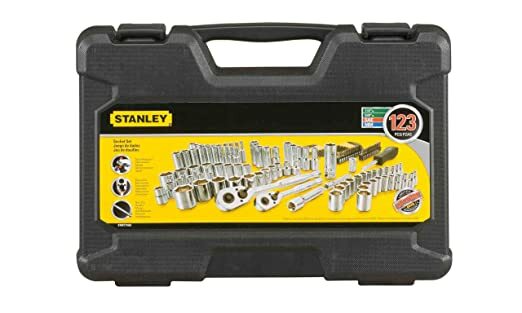 Available in a number of different size configurations to suit any home mechanic’s needs, this socket set features 123 pieces to help complete most at-home tasks. It boasts the brand’s Max-Drive design that provides you with 15% more torque. 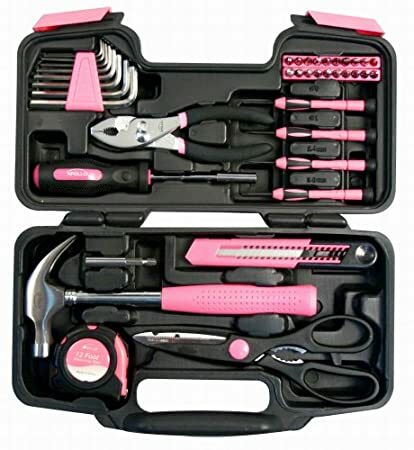 This sassy tool set comes in a fun pink color and features 39 common household tools to help owners complete any number of DIY jobs. It provides an economical solution to common home maintenance tasks. 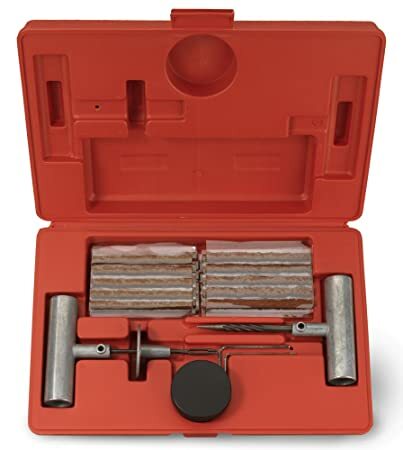 This coil jig kit is used for building coils to be used with electronic and mechanical devices and comes with a number of high quality tools to help you get the job done. 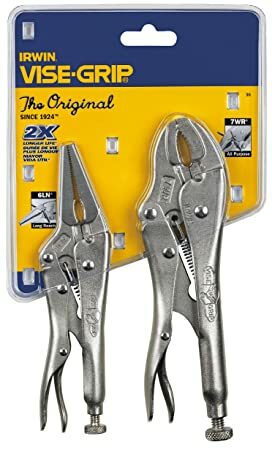 This set is the perfect starter for those looking for a range of pliers and vise grips and comes complete with its own carrying case. 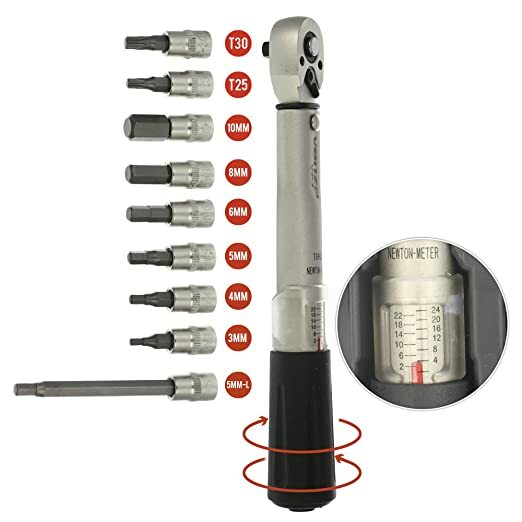 They boast a multi-groove ratcheting system that allows for precise positioning of the tool. A must-have for any home DIYer or mechanic, this socket carrier pouch bag provides a safe and compact space to store all your socket tools and is available in a selection of colors. We love this beautiful hammer for all its sleek design and all it does. 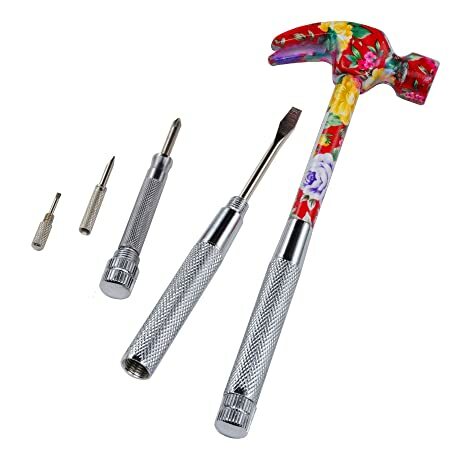 In the handle of the claw hammer is included 1 phillips and 3 flat head screwdrivers to help complete a number of home repair tasks in a convenient, small package. 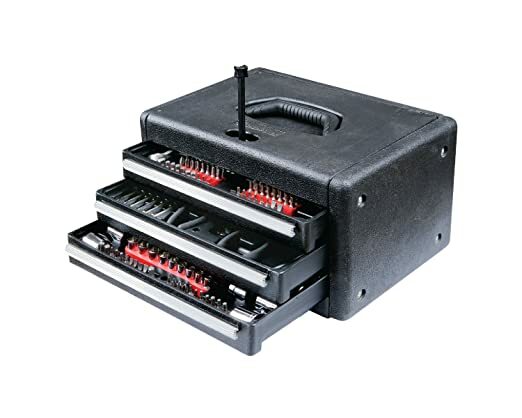 This coil jig kit is used for building coils to be used with electronic and mechanical devices and comes with a number of high quality tools to help you get the job done with its patent-pending technology. 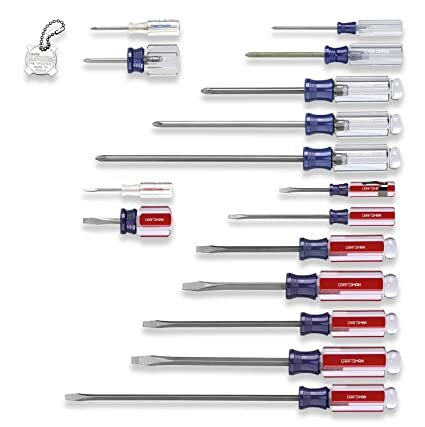 This screwdriver set offers a comprehensive collection of all the drivers and bits you’ll need to complete nearly any home repair or renovation task. Thanks to its special FlexTorq system, bits can flex up to 15 degrees. 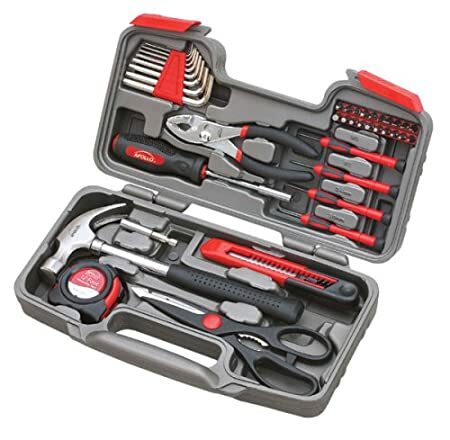 This home tool set offers the complete package with a soft carrying bag to hold all 30 of the most common and reached for tools you’ll need to tackle any home project. It’s available in a choice of 4 bold colors to suit every style. 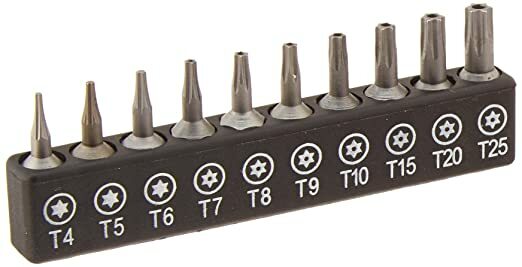 This 10 piece bit set provides home handymen with bits in the common 6 point star Torx shape that fits all standard bit drivers with a .25 inch bit shaft. 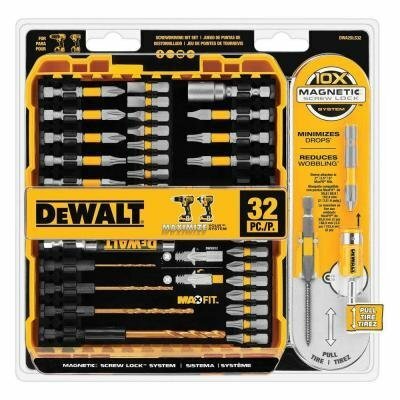 Suitable for use with impact drivers, this set comes complete with 33 pieces to allow you to tackle any number of home repair jobs. The forged bit has been designed to provide superior fit and increased life. 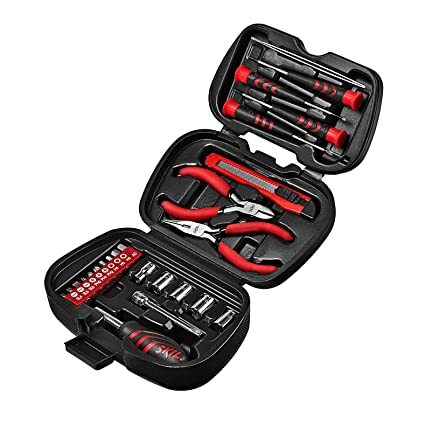 This 4 piece stubby tool set boasts two screwdrivers, a hammer and adjustable wrench that allow you to get into those hard-to-reach places in order to make repairs. The soft grip handles provide the user with comfortable use. 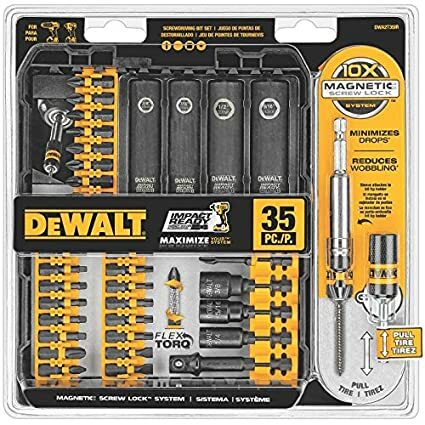 This screwdriving set is the perfect addition to any home tool box and boasts a 32-piece variety of bits including hex shank drilling tools. 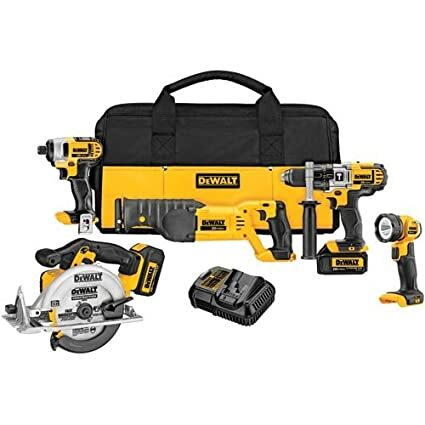 It is compatible with the DEWALT power tools system. 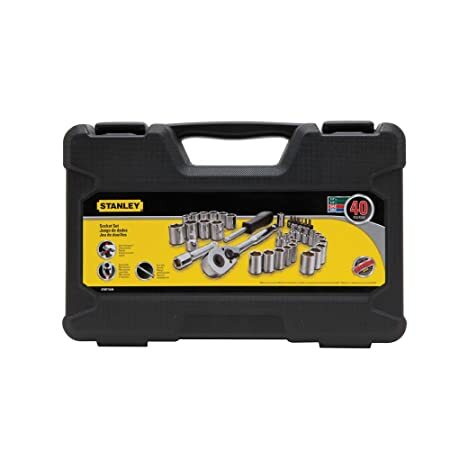 This combination wrench set boasts the brand’s Max-Drive system that allows the user to apply up to 15% more torque to help get the job done faster and with less effort, all while preventing fastener rounding. 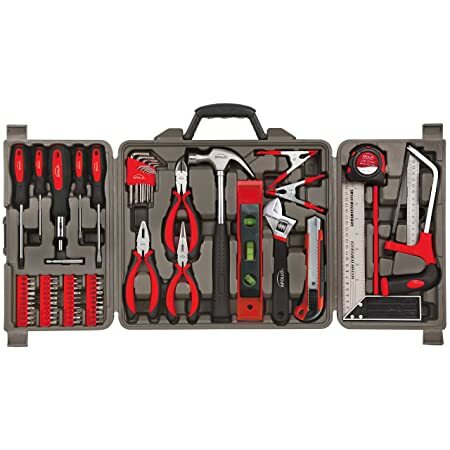 This tool set features 39 of the most used and reached for home tools ideal for completing any number of home repair and renovation projects. The tools have been chrome plated to help resist corrosion, and have been heat treated for long-lasting strength. The tool set contains 5 of the most frequently used around the home power tools to help make light work of your home repair and renovation tasks. The impact driver boasts integrated LED lights to help increase visibility of the work field. 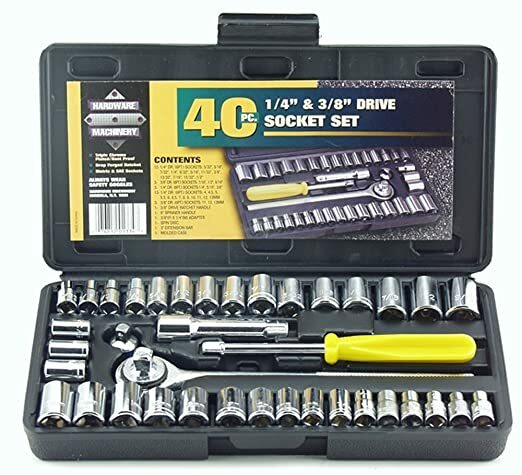 This 40 piece socket set contains both English and metric sizes to help complete nearly any task you need, and have been triple chrome plated to help prevent rust. 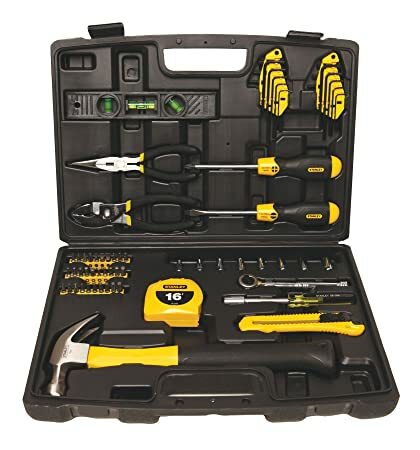 This household tool kit offers a comprehensive selection of 161 of the most common and reached for tools around the home and even includes a rechargeable cordless screwdriver. Tools snap into place for secure and convenient storage. 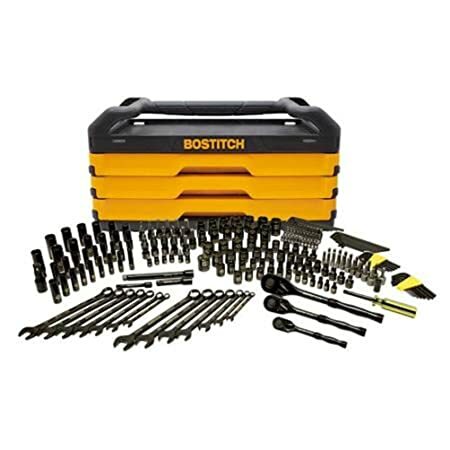 This multi-project kit offers a number of different sets and pieces including drill bits, hex keys and screwdriver bits to help you get the job done. Ideal for use on wood, masonry, metal and plastic both indoors and outdoors. 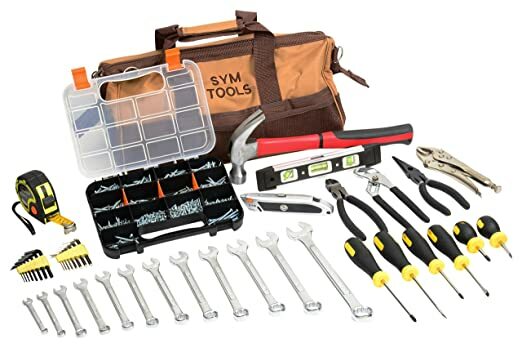 This comprehensive tool set comes complete with a wide range of wrenches, hex keys, screws, screwdrivers and more to help build a homeowner’s DIY kit. Tools are made of durable metal and boast a lightweight design. 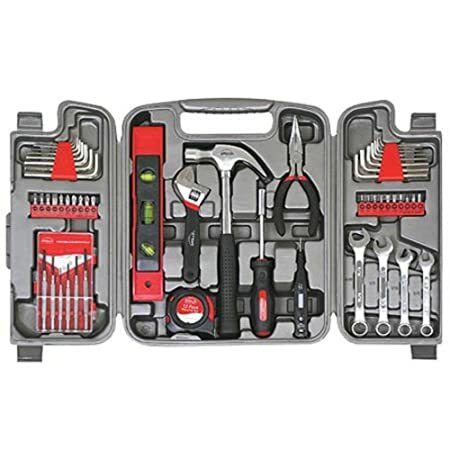 Packed in a durable and convenient chest, this home tool set is ideal for use both around the home and in the garage. 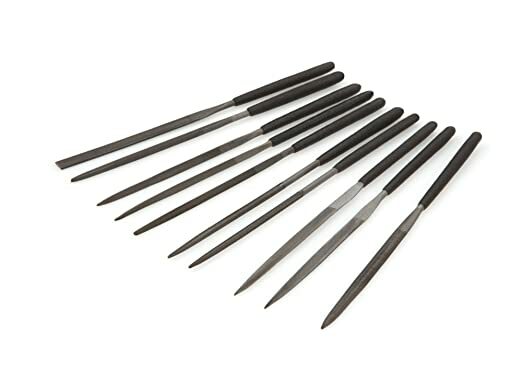 Tools have been heat treated for increased strength and long-lasting durability. 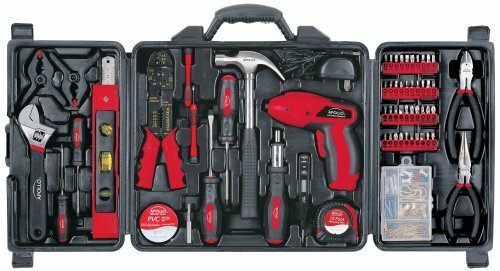 This mega tool kit comes complete with 235 pieces to help you complete nearly any job around the home or garage quickly and easily. 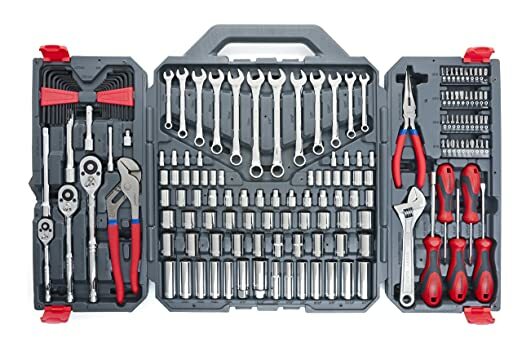 Includes drive sockets, ratchets and ultra-versatile combination wrenches. 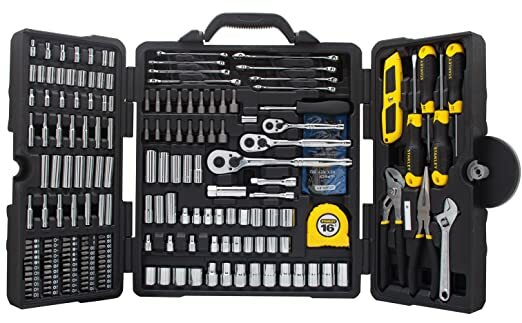 This 130-piece tool set comes complete with locking pliers, a utility knife, variety of hex wrenches, and several commonly used fasteners and anchors to provide a complete home DIY and repair kit. 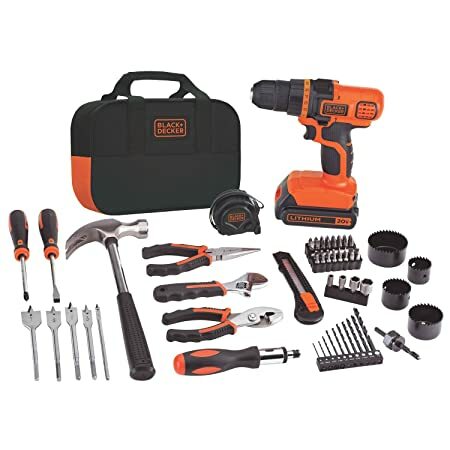 This tool set comes complete with a battery-powered drill and 54 different hand tools and accessories to provide the DIY homeowner with everything they need to tackle most household projects. 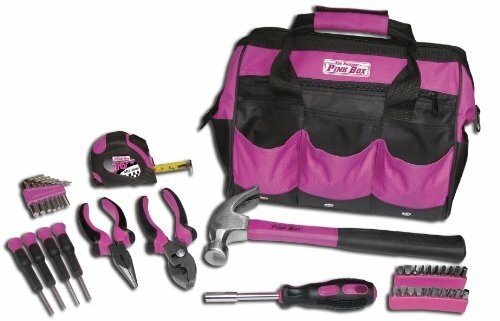 This tool set features 130 pieces to help you tackle nearly any job around the home. It comes complete with hex keys, drivers, ratchets, pliers, hammer and more. 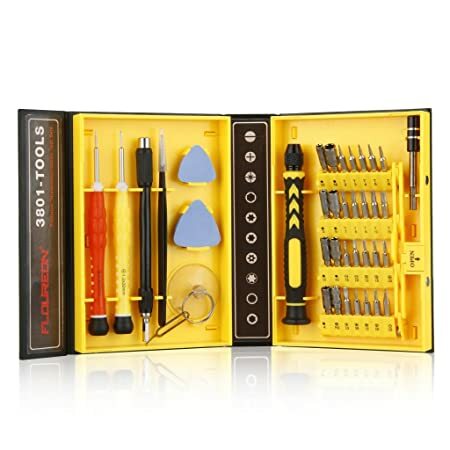 This screwdriver sets includes both flathead and phillips screwdrivers in varying sizes to help complete your at-home tool kit and tackle a variety of home repair projects. They are well-balanced to help prevent user fatigue. In my opinion, I’ll choose these tools that can be useful in current setup of my garage.